Our Projects – Chaparral Professional Land Surveying, Inc.
City of Austin Survey Rotation List – 1998 to present. Over 65 projects completed for the City of Austin, including water and wastewater design surveys, park surveys, and various easement and right-of-way surveys. Pflugerville Parkway, City of Pflugerville – 6 mile roadway route involving large and small tracts. We prepared boundary surveys, topographic design surveys, parcel and easement descriptions. Heatherwilde Boulevard Roadway and Drainage Improvements, City of Pflugerville – Heatherwilde (fka Wilke Lane) from SH 45 to Kingston Lacy Boulevard. Pfenning Lane/Black Locust Roadway Project, City of Pflugerville – 6500 l.f. route involving large and small tracts. Slaughter Lane East Extension, Travis County TNRS – Approximately 7500 l.f. of topographic surveys for existing conditions maps and design surveys, right-of-way parcel mapping and descriptions for conveyance to Travis County. City of Buda Truck Route, City of Buda – 3 mile roadway route involving large and small tracts. City of Buda Roadway Improvements, City of Buda – Bonita Vista and Pinafore Subdivisions Street Improvements Projects. Approximately 9200 l.f. of topographic surveys for existing conditions maps in existing neighborhoods. Crystal Falls Parkway/Lakeline Blvd. 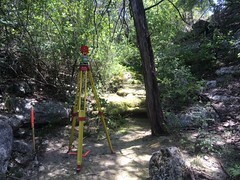 Extension, City of Cedar Park – Approximately 5000 l.f. of topographic surveys for existing conditions maps and design surveys, prepared right-of-way parcel descriptions for conveyance. LCRA Segovia Transmission Line, Kimble County – 12 mile route involving large parcels totaling over 5,000 acres. LCRA Pipe Creek Transmission Line, Bandera – 15 mile route involving large and small parcels. LCRA Colorado River Mapping – Austin to Gulf of Mexico. Provided aerial control for topographic mapping of river basin. LCRA High Water Mapping – Austin to Gulf of Mexico. Provided geodetic control and monument locations for historic flood data. LCRA Sandy Creek Transmission Line – Design surveys and parcel mapping for approximately 3 miles, including sub-station site in Llano County. 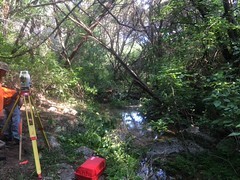 LCRA West Travis County Transmission Line – Surveying and parcel mapping for easement widening, affecting approximately 50 parcels in residential area. LCRA Verde Creek Transmission Line – Surveying and parcel mapping for easement widening in Kerr County, approximately 2 miles. Wal-Mart Sites – Portland, Austin (5), Liberty, Pflugerville, Cedar Park. ALTA surveys, site design survey, platting. HEB Sites – Mission, Rio Grande City, Waco, Georgetown, Leander, Taylor, Copperas Cove, Austin, San Marcos. ALTA surveys, site design surveys, platting. Davenport Ranch & Davenport West – Austin/Travis County. 1200 acre residential and commercial development. Design surveying, platting, as-built and title surveys. Highland Park North – Pflugerville. 800 acre residential and commercial development. Design surveys, platting. Crystal Falls – Cedar Park. 2300 acre residential and commercial development. Design surveys, platting. Lime Creek Estates – Volente. 1500 acre large lot residential development. Design surveys, platting. Inks Lake State Park – Burnet. 300 acre survey and partition for LCRA. Terra Vista – Georgetown. 1200 acre residential and commercial subdivision. Boundary and easement surveying. Shadowglen – Manor. 1500 acre residential and commercial development. Design surveys, platting. Steiner Ranch (XS Ranch) – Bastrop County. 10,000 acre ranch boundary survey for future development. Lakeway West/Rough Hollow – Lakeway. 1500 acre residential and marina development. Design surveys, platting. 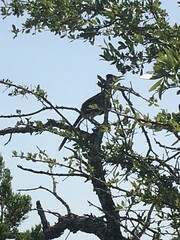 Schramm Ranch – Lakeway. 1200 acre residential and commercial development. Design surveys, platting. Carma Collins Development – Austin/Travis County. Boundary land title surveys for 6,500 acre mixed use, with approx. 170 parcels combined. Carma Paso Robles – San Marcos/Hays County. Boundary land title surveys for 3,500 acre mixed use, with approx. 12 large parcels combined. West Bastrop Village – Bastrop. Boundary surveys and design surveys for 650 acre mixed use development. Sunset Valley Village – Sunset Valley, Travis County. ALTA surveys for large retail shopping center. Boardwalk Shopping Center – Round Rock. ALTA surveys for large retail shopping center. Goodnight Ranch – Austin. 800 acre residential and commercial development. Boundary surveys, design surveys, platting. Met Center – Austin. 600 acre warehouse and commercial development. Boundary surveys, design surveys, platting.